Otto Brunfels (ca. 1488-23 December 1534), a native of Mainz, Germany, city physician in Bern, Switzerland. In his youth he entered the Carthusian monastery at Mainz, left it at the beginning of the Reformation to follow Luther. He found a reception at the Ebernburg by Franz von Sickingen. Ulrich von Hütten secured for him the position of parson at Steinheim (December 1521). Expelled from this place he found temporary refuge in Frankfurt a. M. On his way to Zwingli in Switzerland he was detained in Neuenburg in Breisgau, and took over the office of preacher there. Here he seems to have become acquainted with Anabaptist endeavors in nearby Zürich. This is suggested by his book, Von dem Pfaffen Zehnden hundert und zwen und fiertzig Schlussreden, in which he denounces the tithe and demands that it be used for the poor. In March 1524 he located in Strasbourg, where he made a living by teaching and studied medicine. Here he published the book, Pandectarum veteris et novi testamenti Libri XII, in which he championed the priesthood of all believers, attacked the tithe, and repudiated the oath. He associated with the Anabaptists of Strasbourg, L. Hackfurt, Fridolin Meyer, and others (Keller, 274). In September 1528 he published Precationes biblicae sanctorum patrum which he translated into German as Biblisches Gebetbüchlein. Menno Simons makes a reference to Brunfels (Opera omnia, 275). Brunfels vigorously opposed the punishment of Anabaptists (see the book, Von Ketzeren. Ob man auch die verfolgen oder wie man mit inen handlen solle, compiled by Martinus Bellius, 1554, p. 68, a copy in the national library at Cassel). At the Strasbourg Synod, 1533, he opposed the articles concerning the rights of the government in matters of faith. In the fall of 1533 he settled in Basel as a physician. In natural science and the healing art he attained epoch-making significance. Karl Linne calls him the "father of modern botany." Gerbert, Camill. Geschichte der strassburger Sectenbewegung zur Zeit der Reformation 1524-1534. Strassburg : J. H. Ed. Heitz (Heitz & Mündel), 1889: 164. Hege, Christian and Christian Neff. Mennonitisches Lexikon, 4 vols. Frankfurt & Weierhof: Hege; Karlsruhe; Schneider, 1913-1967: v. I, 287. Keller, Ludwig. Die Reformation und die älteren Reformparteien : in ihrem Zusammenhange dargestellt. Leipzig: S. Hirzel, 1885: 274. Opera Omnia Theologica, of alle de Godtgeleerde wercken van Menno Simons. Amsterdam: By Joannes van Veen, boeck- en pargament-verkooper, 1681: 275. Roth, F. W. E. "Otto Brunfels." Zeitschrift für die Geschichte. des Oberrheins (1894): 284-320. Roth, F. W. E. "Die Schriften des Otto Brunfels 1519-1536." Jahrbuch für Geschichte, Sprache und Literatur Elsasslothringens (1900): 257-288. Sanwald, Erich. 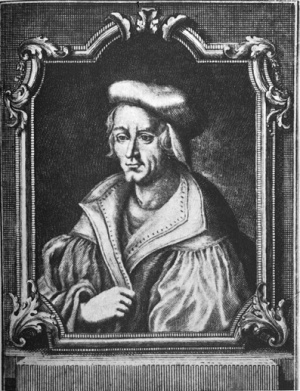 Otto Brunfels 1488-1534. Ein Beitrag zur Geschichte des Humanismus und der Reformation. Diss. Munich: Bottrop i.W., 1932: 1. Hälfte 1488-1524. Neff, Christian. "Brunfels, Otto (ca. 1488-1534)." Global Anabaptist Mennonite Encyclopedia Online. 1953. Web. 18 Apr 2019. http://gameo.org/index.php?title=Brunfels,_Otto_(ca._1488-1534)&oldid=146387. Neff, Christian. (1953). Brunfels, Otto (ca. 1488-1534). Global Anabaptist Mennonite Encyclopedia Online. Retrieved 18 April 2019, from http://gameo.org/index.php?title=Brunfels,_Otto_(ca._1488-1534)&oldid=146387.